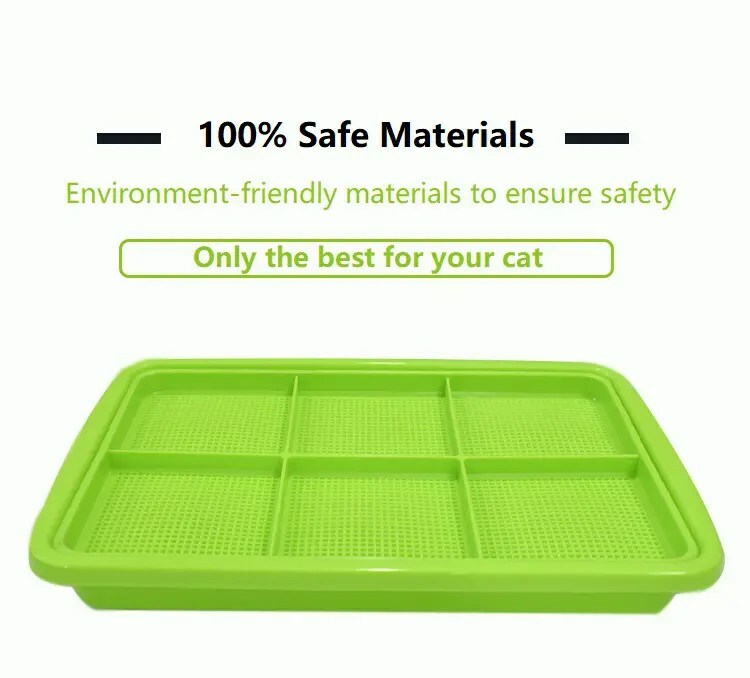 Grow your own 100% safe chemical-free cat grass at home with ease! 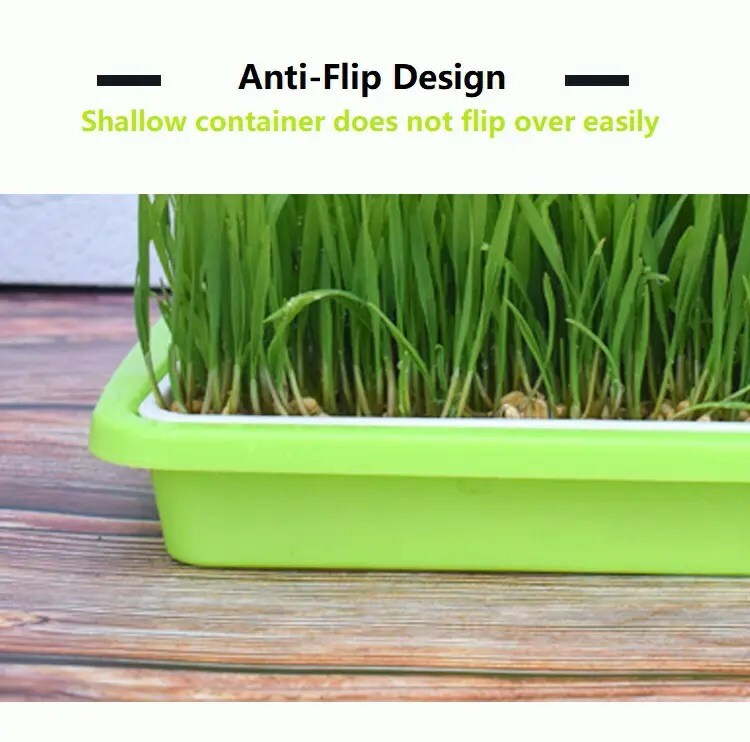 Auskie Cat Grass DIY Kit includes a growing tray with seeds. 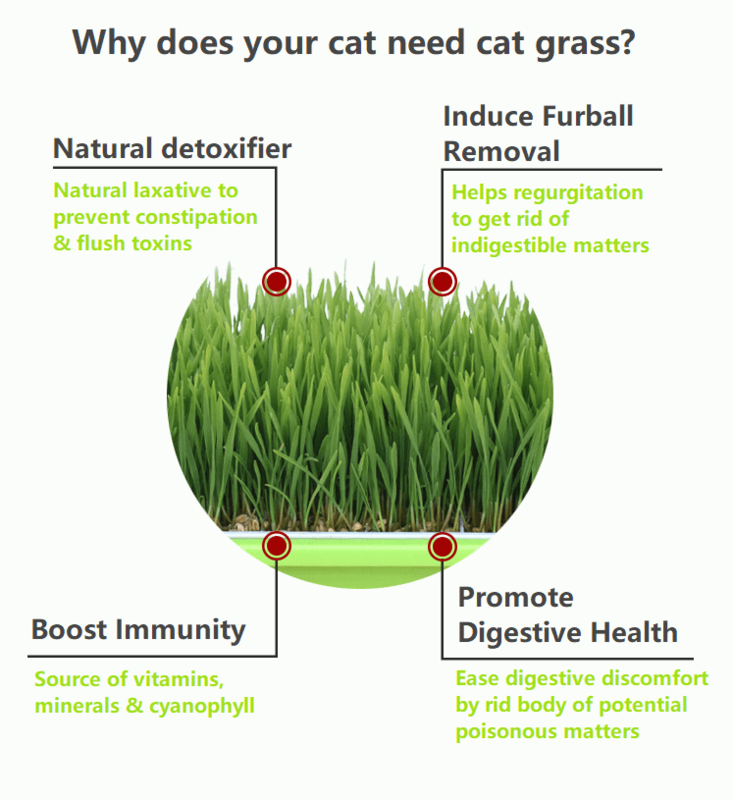 Why does your cat need cat grass? 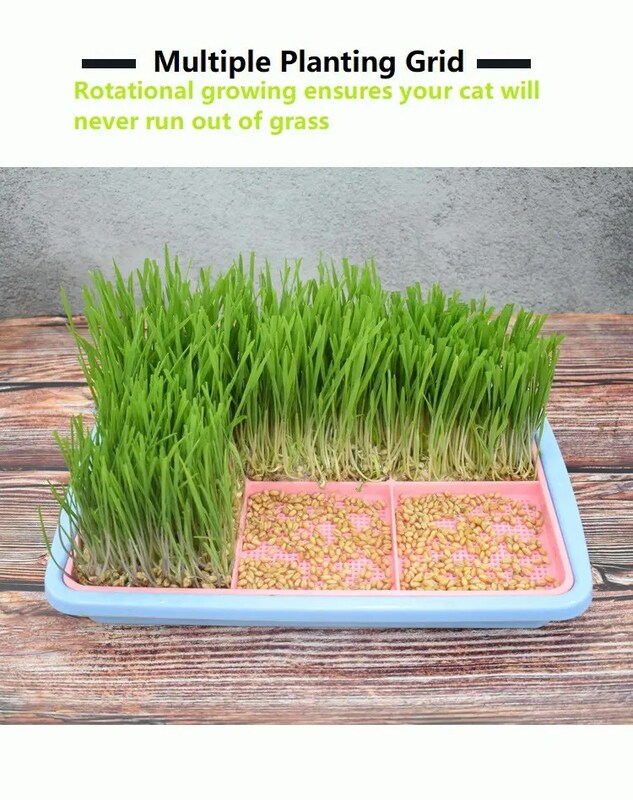 How to grow your own cat grass at home? 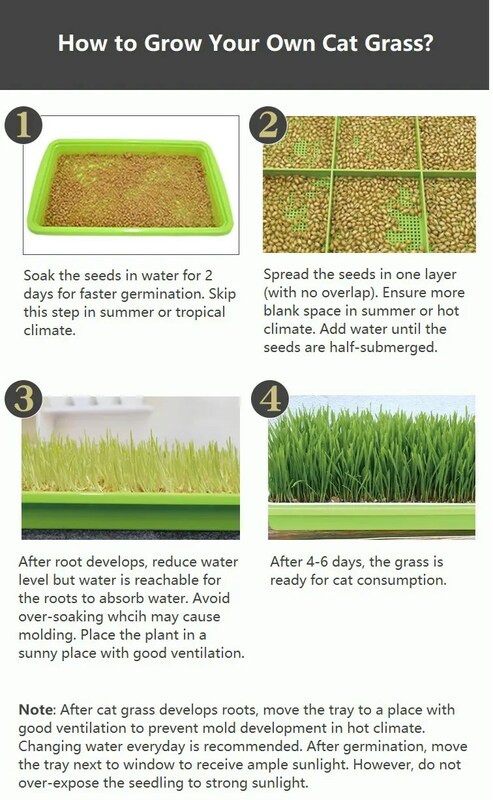 Soak the seeds in water for 2 days for faster germination. Skip this step in summer or tropical climate. Spread the seeds in a single layer (with no overlap) on the grid. Ensure more blank space (less seeds) in summer or hot climate. Add water until the seeds are half-submerged. After root develops, reduce water level but water is reachable for the roots to absorb water. Avoid over-soaking whcih may cause molding. Place the plant in a sunny place with good ventilation. After 4-6 days, the grass is ready for cat consumption. 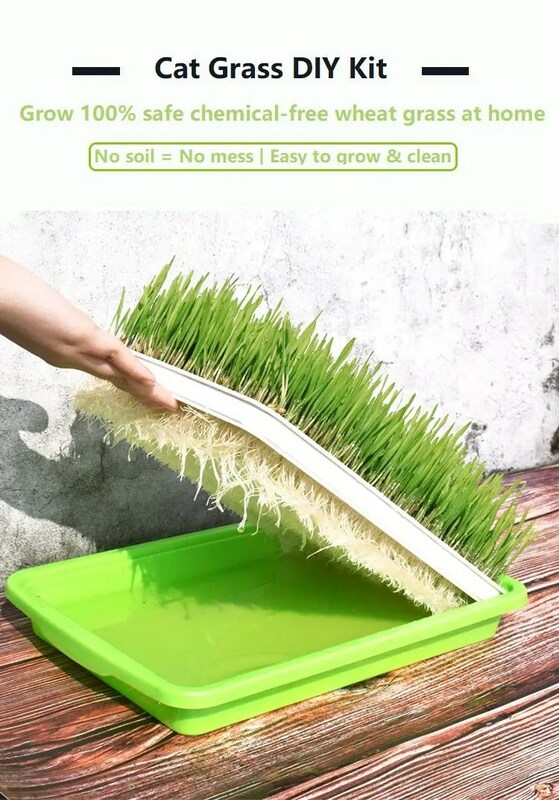 Note: After cat grass develops roots, move the tray to a place with good ventilation to prevent mold development in hot climate. Changing water everyday is recommended. After germination, move the tray next to window to receive ample sunlight. However, do not over-expose the seedling to strong sunlight. my cat always have some hair ball problem, with this cat grass she is able to induce vomit and get rid of the hair ball in the stomach. i am glad she is okay now.